Just when you thought you've seen it all... 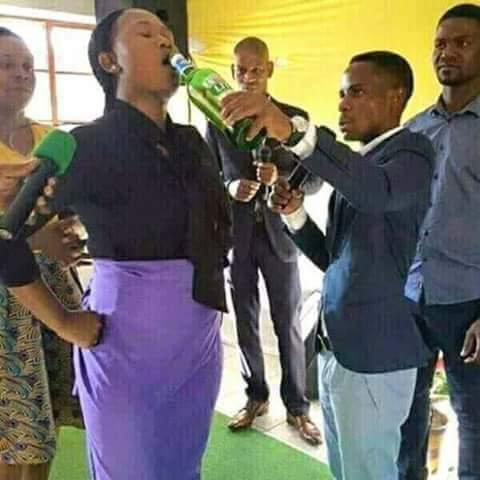 Here is a trending photo of a pastor giving his church members a bottle of beer during service. According to a Facebook user who shared the picture, the pastor prayed over the bottle of beer for "anointing" before he gave it to his members.